Selective serotonin reuptake inhibitors (SSRIs) appear to be superior to selective serotonin-norepinephrine reuptake inhibitors (SSNRIs) in the treatment of pediatric anxiety disorders, though both are associated with statistically significant improvement after two weeks, according to a meta-analysis in the Journal of the American Academy of Child and Adolescent Psychiatry. Strawn and colleagues searched the literature for prospective, randomized, placebo-controlled trials (RCTs) that evaluated the efficacy of SSRIs or SSNRIs in the treatment of social, generalized, and/or separation anxiety disorder in children or adolescents. 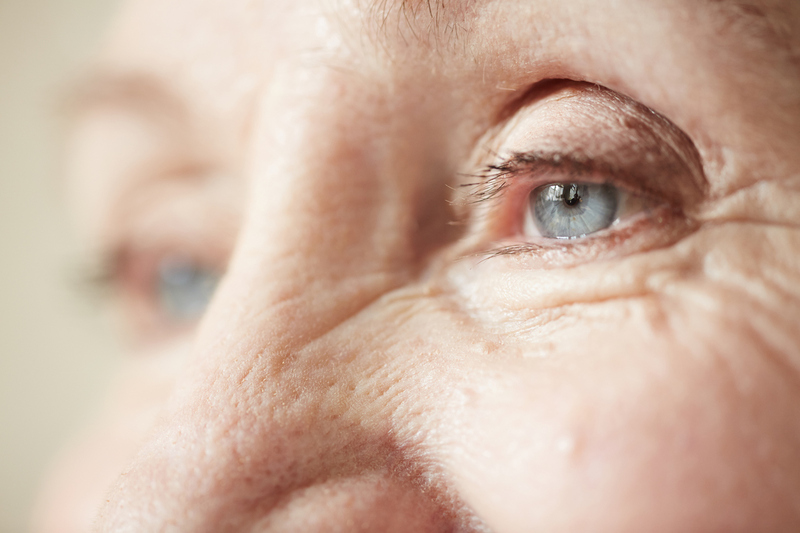 Overall, nine double-blind RCTs (1,805 patients) conducted between 1997 and 2014 were included in the analysis. Four SSRIs were evaluated: fluoxetine, fluvoxamine, paroxetine, and sertraline. Three SSNRIs were evaluated: atomoxetine, venlafaxine, and duloxetine. 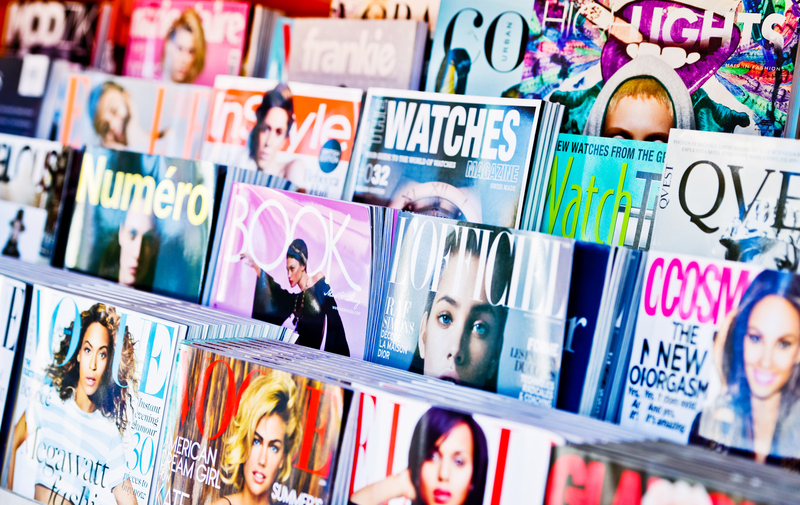 Five studies were federally funded, and four were funded by industry. All studies were conducted in outpatient settings. The primary outcome for these analyses was the change in Pediatric Anxiety Rating Scale (PARS) total score from baseline to endpoint. Patients taking both SSRIs and SSNRIs improved significantly by week two over those taking placebo and continued to have statistically significant improvement throughout the study period. However, treatment response among those taking SSRIs was statistically greater at week two than among those taking SSNRIs, and that difference remained statistically significant over the subsequent 10 weeks of treatment. In 2006, the Food and Drug Administration (FDA) issued a health advisory warning that patients who take selective serotonin reuptake inhibitors or selective norepinephrine reuptake inhibitors (SSRIs/SNRIs) together with triptan antimigraine drugs may be at a heightened risk of serotonin syndrome—a potentially fatal condition believed to arise from elevated serotonin levels. This advisory was based in part on several case reports of serotonin syndrome in patients treated with triptans and SSRIs/SNRIs. A study published today in JAMA Neurology suggests that the risk of serotonin syndrome associated with concomitant use of triptans and SSRIs/SNRIs is low. The authors assessed data from the Partners Research Patient Data Registry, which contains health record information for more than 6 million members of the Partners HealthCare Network in the greater Boston area. 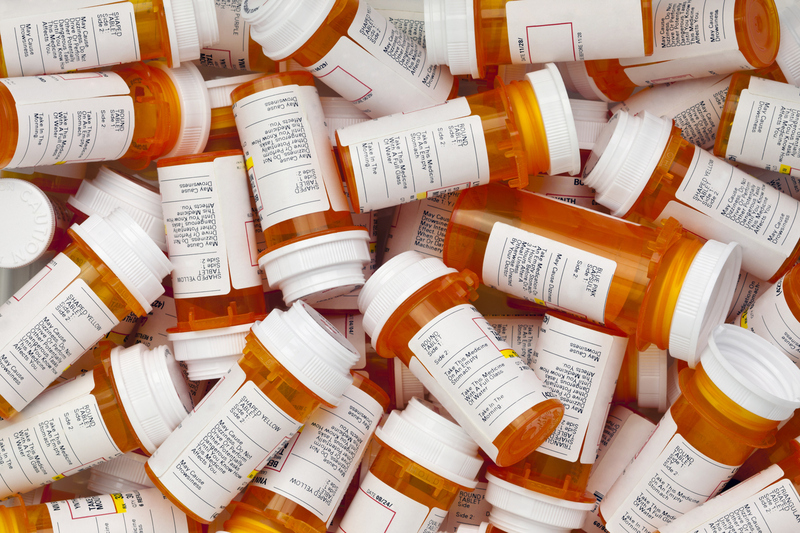 They identified 19,017 patients who had received a prescription for both a triptan and SSRI/SNRI at some point between January 1, 2001, and December 31, 2014. In this group, serotonin syndrome had been clinically suspected in 17 patients, though only in seven cases did the syndrome occur in the same year that a patient had a documented prescription of both medications (resulting in an incidence rate of 2.3 cases per 10,000 person-years of medication exposure). Of these seven patients, only two were classified with definite serotonin syndrome (resulting in an incidence rate of 0.6 cases per 10,000 person-years of medication exposure). “Overall, our results are reassuring and suggest that patients with coexisting affective disorders and migraine need not forgo management of one condition to treat the other,” the authors concluded. 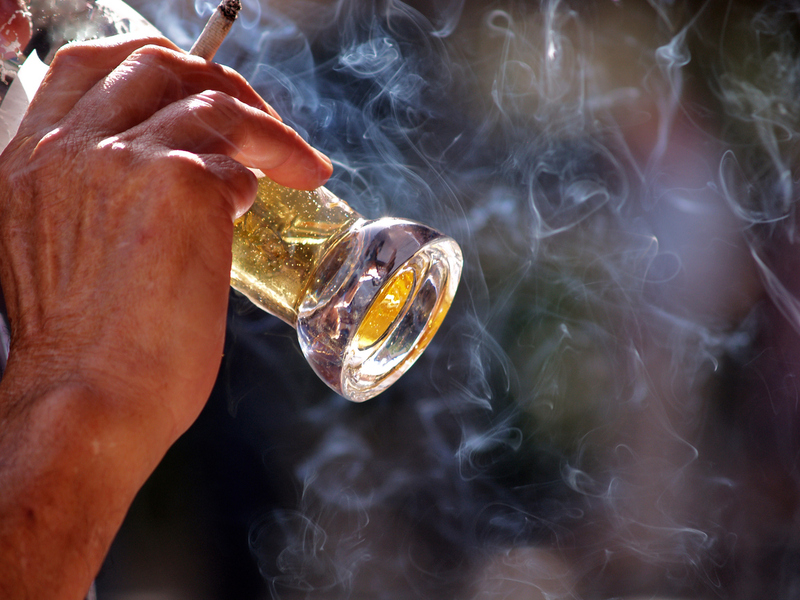 Varenicline, an FDA-approved smoking-cessation medication (Chantix), may be effective in treating both alcohol use disorder (AUD) and smoking in men, according to a study in the February issue of JAMA Psychiatry. “Men appeared to derive benefit from varenicline, compared with placebo, on measures of heavy drinking, whereas women did better taking placebo,” wrote lead author Stephanie S. O’Malley, Ph.D., director of the Division of Substance Abuse Research in Psychiatry at Yale School of Medicine. Researchers conducted the phase 2, randomized, double-blind, placebo-controlled trial at two outpatient clinics (New York City and New Haven, Conn.) from September 19, 2012, to August 31, 2015. The researchers recruited men and women aged 18 to 70 who were seeking treatment for AUD. 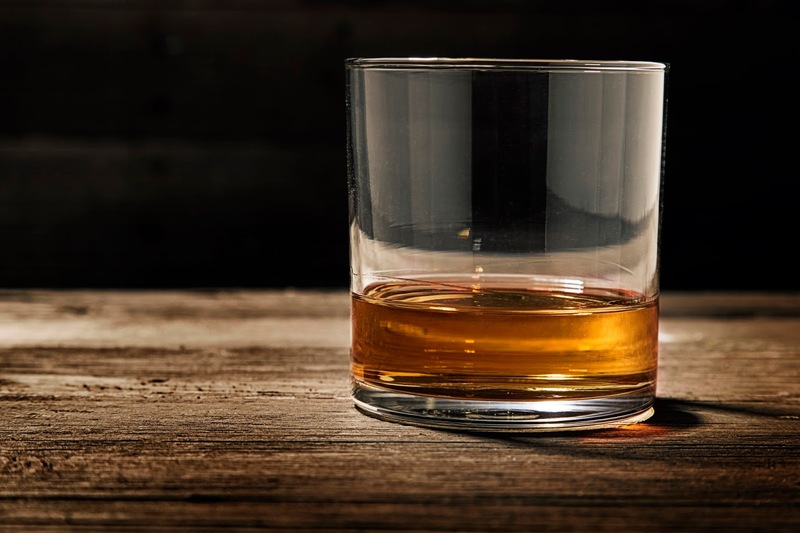 Individuals who met the criteria for alcohol dependence (according to the DSM-IV-TR), reported heavy drinking (≥5 standard alcoholic drinks for men and ≥4 drinks for women) two or more times a week and cigarette smoking two or more times per week were included in the trial. O’Malley and colleagues randomly assigned 131 participants to receive either 2 mg of varenicline or placebo daily for 16 weeks. Medication was titrated in the following standard doses: 0.5 mg once daily for three days, 0.5 mg twice daily for four days, and 1 mg twice daily for the remainder of the 16-week treatment. Daily medication adherence was monitored through a combination of pill counts returned from blister packs and self-reported compliance. Over the course of the trial, participants attended 12 medical management sessions during which they met with a medical professional to discuss the tolerability of the assigned medication, medication adherence, and the importance of drinking goals as well as the development and implementation of strategies for changing drinking behaviors. The participants were also asked about their drinking and smoking behavior, adverse effects of the medication, changes in mood, and more. The mean change from baseline in the percentage of heavy drinking days in the overall sample by the end of the study was not different between the placebo and medication groups, but varenicline appeared to have different effects on drinking in men and women. Compared with placebo, varenicline resulted in a greater decrease in percentage of heavy drinking days in men and a smaller decrease in percentage of heavy drinking days in women. Even though the subjects were not seeking or provided smoking-cessation counseling, varenicline resulted in significantly higher rates of smoking abstinence compared with placebo (13% vs 0%) at the end of treatment. A child’s history of risk factors for self-harm does not appear to influence caretaker decisions about whether to keep firearms in the home, or whether those firearms are kept unloaded and in locked storage. That’s the finding from an analysis of data from an online survey published in Pediatrics. “Given the prevalence of household firearms in the United States, our findings suggest that millions of U.S. children are placed at substantially higher risk of fatal firearm injury, especially suicide, than would be the case were parents to follow guidelines first put forward by the AAP [American Academy of Pediatrics] more than a quarter century ago,” wrote John Scott, B.S., Deborah Azrael, Ph.D., and Matthew Miller, M.D., M.Sc., of Northeastern University and Harvard University. The researchers used data from a Web-based survey conducted by the survey firm Growth for Knowledge (GfK) to assess firearm ownership, storage practices, and use among a nationally representative sample of U.S. adults. Respondents were asked about gun ownership and about various storage practices for their household guns, including the number of guns stored and whether they were locked and unloaded. Participants were also asked if there were children living in the household and if so, what their relationship was to these children. Of 3,949 respondents, approximately 1 in 3 U.S. households contained firearms (34.8%), irrespective of whether the household included children. Among the subset of adults who self-identified as parents, approximately 2 in 5 households contained firearms (42.4%). Among parents who own guns, 34.9% stored all guns locked and unloaded when they had a child with a history of self-harm risk factors, compared with 31.8% when none of their children had such a history. In an accompanying editorial, David C. Grossman, M.D., M.P.H., of the Kaiser Permanente Washington Health Research Institute, said clinicians caring for teenagers play a critical role in preventing youth suicide, including routine screening of adolescents for depression and ascertaining information about firearms in the household and their storage. For related information, see the Psychiatric News article “Firearms and Suicide: Risk Assessment and Management,” by Liza Gold, M.D. 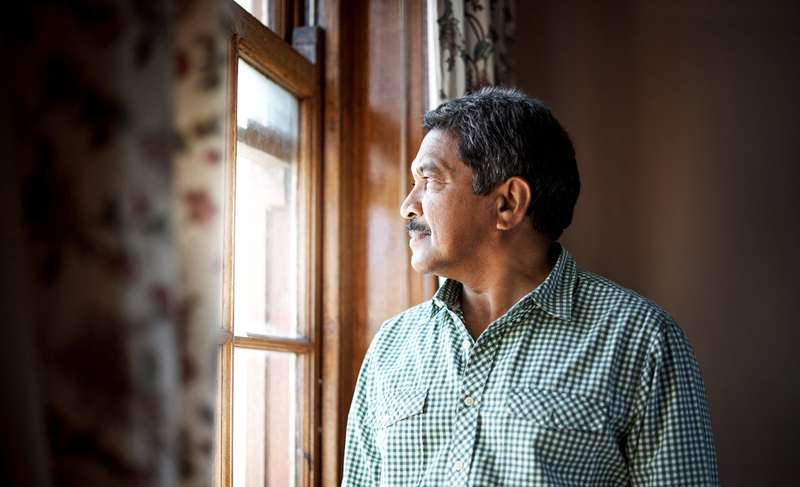 The more days that an adult living with HIV spends depressed, the greater the risk he or she will miss appointments for HIV primary care, experience HIV treatment failure, and/or die prematurely, according to a study published today in JAMA Psychiatry. “Even modest increases in time spent depressed led to clinically meaningful upticks in negative outcomes,” lead author Brian Pence, Ph.D., of the University of North Carolina at Chapel Hill, told Psychiatric News by email. “The implication [of these findings] is that regular depression screening and rapid, evidence-based depression treatment—by shortening the duration of depression—hold the potential to have a meaningful impact on HIV outcomes,” he said. To examine the association between the persistence of depression and multiple HIV care continuum indicators, Pence and colleagues analyzed data on adult patients who received HIV care at six U.S. academic medical centers participating in the Center for AIDS Research Network of Integrated Clinical Systems (CNICS) between September 22, 2005, and August 6, 2015. As part of routine clinical visits, patients were regularly given the PHQ-9 every six or so months. Pence and colleagues focused their analysis on information collected on CNICS participants with two or more consecutive PHQ-9 measures (defined as two PHQ-9 measures separated by less than 365 days). Patients entered and remained in the analysis until one of the following occurred: death, a lapse in PHQ-9 measures (12 months after the last consecutive PHQ-9 measure), loss to care (≥12 months without an HIV primary care appointment), six years’ follow-up, or until the end of the available data from the patient’s site. The main outcomes assessed during the follow-up period included missed HIV primary care appointments, detectable HIV viral load (HIV RNA viral load measure of 75 copies/mL or more), and all-cause mortality. A total of 5,927 participants were included in the analysis. During the follow-up period, Pence and colleagues found that the participants’ median percentage of days with depression was 14%, 10,361 of 55,040 scheduled visits (18.8) were missed, 6,191 of 28,455 viral loads (21.8%) were detectable, and the mortality rate was 1.5 deaths per 100 person-years. “Increasing PDD [percentage of days with depression] was associated in a dose-response fashion with an increased risk of missed appointments, increased risk of detectable viral load, and accelerated mortality. Each 25% increase in PDD led to an 8% increase in the risk that a particular scheduled appointment would be missed, a 5% increase in the risk that a particular viral load would be detectable, and a 19% increase in the mortality hazard,” the authors wrote. Depression is common among adolescents, yet an estimated 40% never receive treatment. 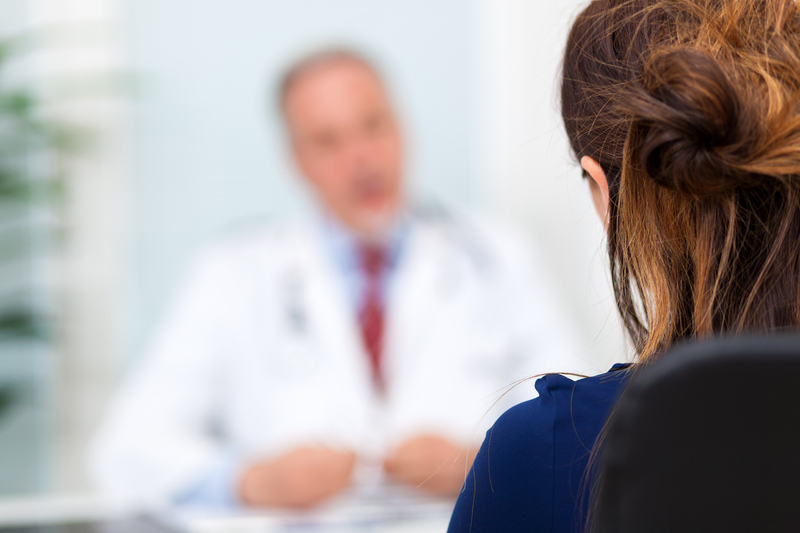 A study in Psychiatric Services in Advance suggests that embedding psychiatric services within a primary care setting can reduce depressive symptoms in this group. For the study, Nathan Shippee, Ph.D., of the University of Minnesota, Minneapolis, and colleagues from the Mayo Clinic assessed the effectiveness of EMERALD (Early Management and Evidence-based Recognition of Adolescents Living with Depression), a collaborative care program in a busy primary care practice in the Midwest. Patients aged 12 to 18 with a depression diagnosis score of ≥10 on the nine-item Patient Health Questionnaire for Adolescents (PHQ-9A) who did not have a bipolar disorder diagnosis were eligible to participate. The sample included 162 EMERALD participants and 499 non-EMERALD participants with the same diagnostic profile. After receiving an initial diagnosis of depression from a primary care provider (PCP), patients and parents who verbally agreed to participate in the EMERALD program were referred to a registered nurse care coordinator trained in depression management and motivational interviewing. For each adolescent, the nurse checked in by phone or face-to-face weekly or biweekly, and with one or both parents biweekly. The nurse used motivational interviewing and other strategies to encourage patients to identify specific concerns and goals for each visit. In weekly case review meetings with the nurse, a child and adolescent psychiatrist made treatment recommendations. The nurse passed the recommendations to the PCP, who made the final decision. The nurse then worked with the patient and his or her parents on the recommendations. Patients who did not enter EMERALD received usual care from a PCP. Patient outcomes were tracked via a clinical registry. The primary clinical outcomes were six-month remission of depression (score <5) and six-month treatment response (>50% reduction from baseline), as measured by the PHQ-9A. Overall, patients receiving collaborative mental health care experienced higher rates of remission (11 percentage points higher) and treatment response (14 percentage points higher) than patients who received treatment as usual. 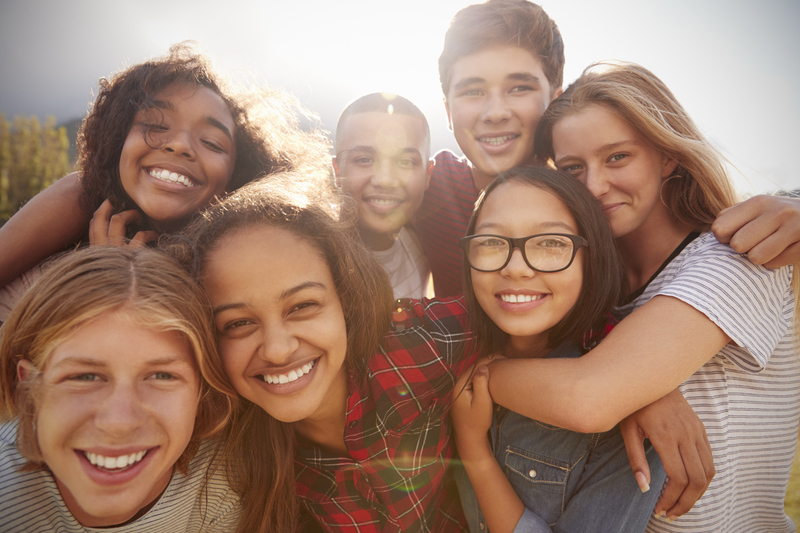 For related information, see the Psychiatric News article “Collaborative Care for Youth: Statewide Success Stories,” by Robert J. Hilt, M.D., M.S. In the aftermath of Wednesday’s shooting that killed 17 students and staff members at Marjory Stoneman Douglas High School in Parkland, Fla., APA and four organizations representing 450,000 physicians and medical students called on President Donald Trump and Congress to take meaningful action against gun violence. Joining with APA were the American Academy of Family Physicians, the American Academy of Pediatrics, the American College of Obstetricians and Gynecologists, and the American College of Physicians. Label violence caused by the use of guns a national public health epidemic. Fund appropriate research at the Centers for Disease Control and Prevention as part of the FY 2018 omnibus spending package. Establish constitutionally appropriate restrictions on the manufacture and sale, for civilian use, of large-capacity magazines and firearms with features designed to increase their rapid and extended killing capacity. 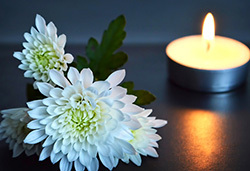 While mass shootings attract much attention from the public and the media, the groups noted that current policies regarding access to guns in this country expose Americans daily to the risks of violent acts including suicide, homicide, and unintentional injury. “The families of the victims in Parkland and all those whose lives have been impacted by daily acts of gun violence deserve more than our thoughts and prayers. They need action from the highest levels of our government to stop this epidemic of gun violence now,” the statement concluded. APA CEO and Medical Director Saul Levin, M.D., M.P.A., said the survey is an opportunity for APA members to register their concerns about MOC and its relevance to physicians and patient care. 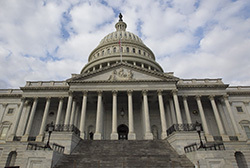 “APA leadership continues to be aware of the serious concerns many members have about the current structure of MOC and continuing board certification,” Levin said. “We wholeheartedly support the value of lifelong learning but believe that the process for professional self-regulation needs to be clinically relevant and not add to the administrative burdens with which many physicians are already wrestling. 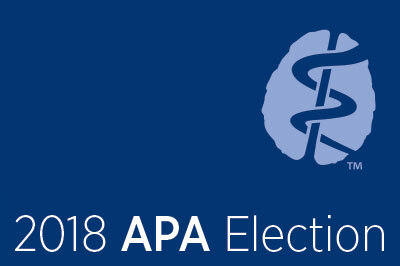 APA’s Committee of Tellers has approved the following results of APA’s 2018 national election. Please note that these results are considered public but not official until approved by the Board of Trustees at its meeting March 17-18. Complete results of the election will be reported in the March 2 issue of Psychiatric News. 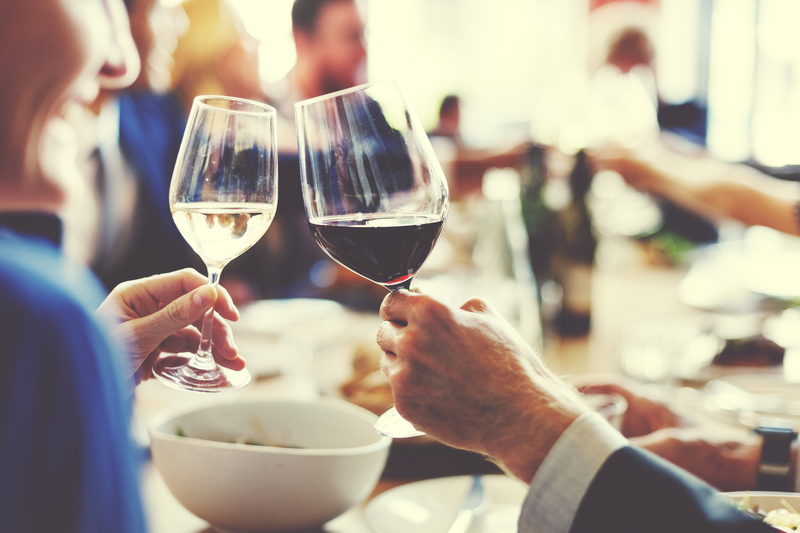 A study of married couples in Sweden found that spouses strongly resemble one another in their risk for alcohol use disorder (AUD), with the way spouses interact with each other playing a strong causal role, according to a report published yesterday in JAMA Psychiatry. Women in a first marriage with no history of AUD were nearly 14 times more likely to be diagnosed with AUD immediately after their husbands were diagnosed with AUD and about four times as likely after two years, compared with women who had no spousal exposure to AUD, according to Kenneth S. Kendler, M.D., at the Virginia Institute for Psychiatric and Behavioral Genetics and colleagues. Similarly, husbands with no history of AUD were more than nine times as likely to be diagnosed with AUD immediately after their wives were diagnosed, and about three times as likely after three years. Researchers examined population, medical, pharmacy, and crime registries in Sweden to determine marital and AUD status, excluding married partners who did not reside together. First, they identified 8,562 married couples where neither had a history of AUD prior to marriage and one spouse developed AUD during the marriage. These couples were compared with individuals who did not reside with a spouse with an AUD. The researchers then studied 4,891 individuals with multiple marriages whose first spouse had no AUD diagnosis and second spouse did, or vice versa. Researchers noted that individuals who remarried were more likely to move from having a spouse without AUD to a spouse with AUD than vice versa. When individuals moved from a marriage to a spouse with AUD to a spouse without the disorder, they cut their risk for AUD by half. By contrast, individuals who moved from a marriage to a spouse without the disorder to one with AUD greatly increased their risk of AUD (seven times the risk in women, and nine times the risk in men). The report follows a 2016 study published in the American Journal of Psychiatry that men and women married to a spouse with no history of AUD are much less likely to experience AUD themselves. It concluded that while marriage generally was protective against the risk of alcohol use disorder, marriage to a spouse with AUD greatly increased the risk of the disorder for both men and women. “Although genetic and biological factors contribute strongly to the predisposition to alcohol dependence, these findings complement our prior work on marriage and divorce in showing how close social bonds such as marriage can also powerfully influence, for better or worse, the risk for AUD,” the researchers concluded.